"The Best Read Little Book Shop"
I never cry in books or movies, and I cried twice (in the space of two chapters) in Between the Lives. 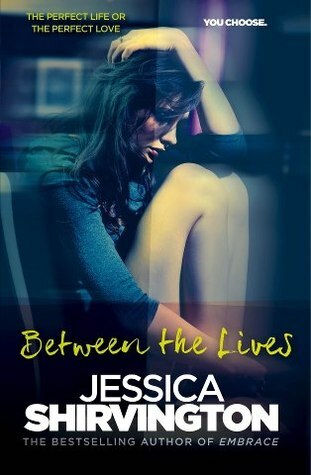 Jessica Shirvington somehow manages to pull all of your focus and love and energy to this teenage girl, Sabine, who just wants to have a normal life. She captivates you, and I could not stop reading. This'll be you, too. This fascinating tale ends, though, which is a downside to every good story! However, it is not one of the books where it ends leaving you hanging and doubting the main character's maybe wonderful maybe horrible life in the future ahead. You know how it ends, clearly, but Jessica Shirvington still leaves a space for wonder. This book will tug at your heart strings and you will wonder how on earth the author manages to capture such emotion in her words and her story and also how did she come up with that incredible storyline?!?!? Two different lives, two different people on the outside, but the same person on the inside. And as I like to say "Just read it!" 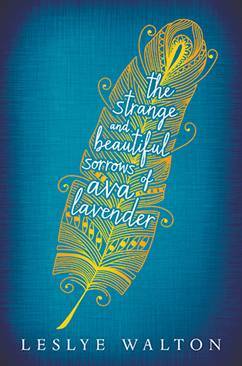 “The Strange and Beautiful Sorrows of Ava Lavender” is a heartfelt novel about the bumpy road to family deaths, births and businesses. When a talented baby girl is born into the world, doctors are baffled by the abnormal growth of a birds’ speckled brown wings sprouting from her shoulder blades. As she progresses through childhood, Ava attempts to fit in with all the teenagers of the neighbourhood, from strapping down her wings to bleaching her hair. The age appropriateness, due to infrequent but strong swearing, would be mature children 12 and over. The author writes about Ava’s complicated ancestry from her grandmother to her very own birth. The book suits avid and confident readers due its length. This inspiring book tells of deceit, rumours and Ava Lavender’s family birthright – foolish love. Review by Zigi Coimbra Wilkie, 12 years old. "Northanger Abbey" is a modern re-imagining of one of Jane Austen's lesser known novels written by Val McDermid, one of the UK's biggest selling crime novelists, as part of the Austen project. The heroine, Catherine Morland, finds herself away from her rather dull life in Piddle Valley for the very first time when she is invited to stay in Edinburgh during the festival. Cat is a lovely, sweet-natured, innocent girl with a head full of books and little experience of the wider world. She soon learns about people's natures with all their qualities and flaws in this delightfully witty romance with a distinctive Scottish flavour. You know that Val McDermid has captured the spirit of the original when you want to go back and revisit all those lovely Jane Austen classics again. It's a thoroughly enjoyable, warm and fuzzy reading experience.For more information on the Austen project see www.theaustenproject.com. This is an extraordinary novel set in Paris in the turbulent and uncertain years just before and during the occupation. Lou Villiers, the main character is a cross-dressing, lesbian athlete and champion racing car driver and the subject of a famous photograph titled "Lovers at the Chameleon Club, Paris 1932". The novel tells Lou's story, her hopes and aspirations as she begins a very promising sports career representing France, to eventually becoming a collaborator, a traitor to her country and ultimately an interrogator working for the Gestapo. We learn of Lou's story through various extracts as told by the other strong characters in the novel in differing forms. There are chapters from an autobiography-in-progress, the personal letters from the young, talented Hungarian photographer to his parents back home, the memoirs of a wealthy Baroness and former employer of Lou's, abstract writings from the boisterous and broke, but brilliant American writer who seems to model himself on Hemingway, and memoirs from a former Resistance heroine, the lover of the photographer. In this clever way, the author has set the scene of a carefree pre-war Paris, of extravagant parties, risqué Cabernet clubs where every fantasy is acted out nightly, a city where people are constantly in love, and artists in pursuit of their art. Then the imminent war, which most citizens seem to be in denial of, becomes a reality and a grey pallor is cast over the city. It is this period that Lou's career changes again and in her own deluded thinking she believes that she is helping the citizens of Paris for their own betterment. I really enjoyed this cleverly written story with it's fabulous characters. It's a fascinating glimpse of a remarkable period of history and the interesting way in which each character tells part of the story in their own words is quite unique. 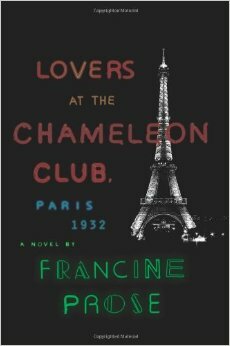 If you have read and enjoyed other books of Paris in this period such as "Suite Francaise", "The Girl Who Fell From the Sky" and "Sarah's Key", I think you would get much as pleasure from reading "Lovers at the Chameleon Club, Paris 1932". The scene: a cottage on the coast on a windy, wintry evening. Inside, under a pool of yellow light, two figures face each other across a kitchen table. A man and a cat. A story so startling, so unbelievable, yet terrifyingly plausible is about to be told. "Shall we begin?" says the cat. This is a captivating, witty and delightfully told little mystery. To me it is reminiscent of Alan Bennett' s style, with its rather ordinary, often clumsy characters....the human ones that is. As for the cats....that's another story entirely as this tale only serves to reinforce that they are far too clever and other worldly by far. A very delicious gothic tidbit to savour. Previously Elizabeth Gilbert has enjoyed great success with her memoir "Eat, Pray, Love", but her new novel is something completely different. 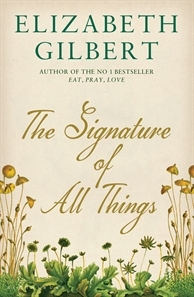 "The Signature of All Things" is a wonderful romp through the world of botany during the fascinating Age of Enlightenment. The novel takes the reader on a journey from London, to the New World, Peru, Philadelphia, Tahiti and finally Amsterdam. Peppered with great characters it is a well written and engaging book. "The Signature of All Things" follows the fortunes of Henry Whittaker, a poor-born but clever English lad who joins Captain Cook's final expedition as botanical assistant. Driven by his own furious ambition, Henry quickly makes a fortune in the botanical trade, a time when new species are fast being discovered and therefore in great demand by collectors. Henry's daughter Alma, is as passionate about life as she is about wanting to learn everything. She speaks several languages fluently (two of them dead). Alma's life is one of science, exploration, yearning and discovery, and it is this passion that leads her to develop her own thesis on the origins of life. She is a terrific character, a true scientist in a time when most women were little more than a pretty distraction from the real business of things as conducted by men. I thoroughly enjoyed this book all the way through and was especially pleased with the way in which Elizabeth Gilbert ended it.